This ultra wide band, featured on refinery29.com, defines subtle luxury. 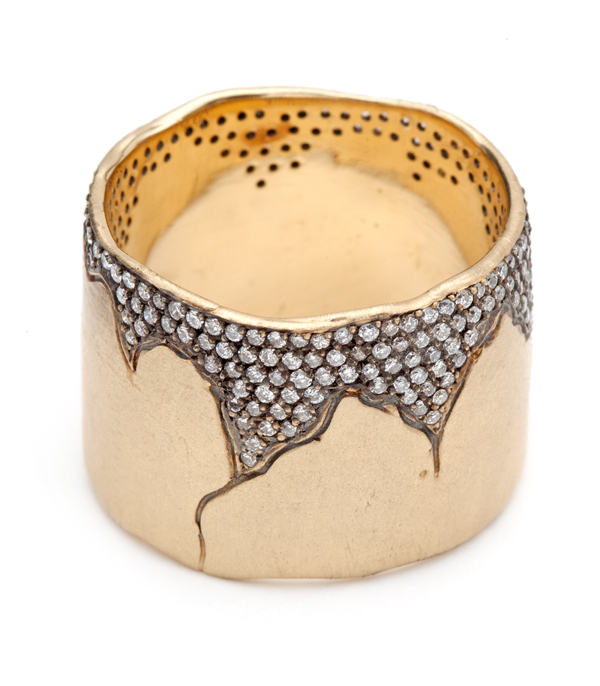 A matte gold band is "cracked" to reveal a blackened surface paved with diamonds (0.76ctw) Simply stunning! Band measures 15mm wide, but can be modified to alternate widths. Please call our store for custom requests. Because of the width of this band, we recommend going up a full size in this ring.